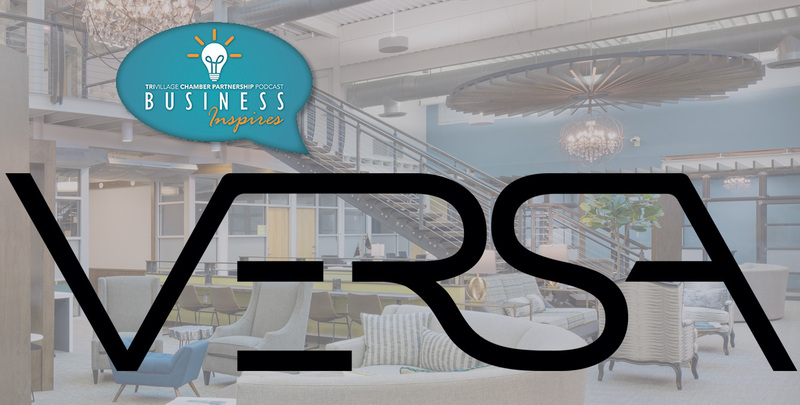 April Zimmerman Katz, president of Zimmerman Companies and founder of Versa coworking spaces, joins us on our most recent episode of Business Inspires podcast. April’s specialty is creating exciting, functional interiors and spaces that suit the needs of a building while providing an engaging aesthetic. And she had a lot of space to work with in Versa’s location at 1201 Dublin Road, where we recorded this episode. April talks about the burgeoning co-working space trend, and why flexibility appeals to everyone from individuals to enterprise clients. Her and her husband caught the wave on this industry, working to push the existing norms by developing a much larger shared space than their competitors. She shares lessons learned from being on the forefront of a trend, and discusses the learning curve that comes with new business models. Versa’s new Arena District co-working space is on Nationwide and Neil.